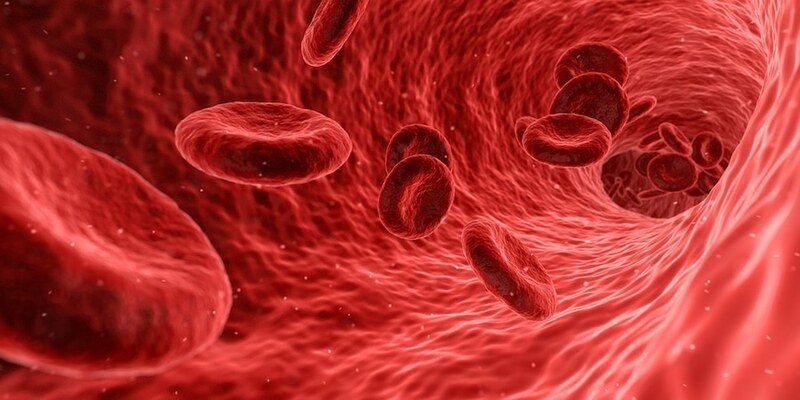 Researchers have developed gold nanoparticles that can be coated to monitor the flow of blood in the smallest blood vessels inside the human body, where the size of the nanoparticles is not more than 100 nm. As the nanoprobes enhance the knowledge of blood flow inside the body, they can assist in the early diagnosis of disease. Light microscopy is a rapidly developing technology that enables acquiring knowledge of in vivo systems in which high resolution is mandated. Specifically, it is significant in the field of cardiovascular research in which clinical investigations are dependent on ultrasound techniques with intrinsically lower resolution and providing limited information. If blood flow in the sophisticated vascular tree—specifically in capillaries, which are the smallest elements of the microvasculature—can be monitored, then, we can acquire indispensable information for perceiving disease processes such as vascular inflammation and thrombosis. It can also be applied for other applications for the enhanced delivery of therapeutics targeting, for example, tumors. At present, there is poor knowledge of blood flow in the microvasculature. Nanoscience is distinctively placed to assist in gaining in-depth knowledge of the processes occurring in micron-sized vessels. It is highly difficult to develop probes for monitoring blood flow as the environment, the higher concentrations of red blood cell and the higher levels of protein in plasma hinder optical imaging. Traditional methods involve staining red blood cells with organic dyes (with short-lived usage because of photobleaching) as part of the tracking concept. The imaging resolution and the investigation of flow dynamics of the smaller vessels with a size similar to that of the red blood cells are hindered by the comparatively large size of the red blood cells (i.e. 7-8 mm) used as the probes. Hence, achieving detailed resolution as well as information related to the blood flow in the microvasculature mandates the use of smaller probes. The paper describing a technique for developing iridium-coated gold nanoparticles that can be used as luminescent probes for optical imaging of blood flow has been published in the journal Nanomedicine. The key to these iridium-coated nanoparticles lies in both their small size, and in the characteristic luminescent properties. The iridium gives a luminescent signal in the visible spectrum, providing an optical window which can be detected in blood. It is also long-lived compared to organic fluorophores, while the tiny gold particles are shown to be ideal for tracking flow and be detected clearly in tissues. The Researchers were successful in stabilizing water-soluble gold nanoparticles coated with the iridium luminescent probes at nearly 100 nm in size by adopting a surfactant coating. The size of 100 nanometres is ideal for not disturbing the flow, yet still being detectable by high resolution imaging using conventional microscopes. These nanoparticles can be used as trackers for detection in sub-millimeter channels of dimensions similar to many microvessels with higher resolution than fluorescently-stained blood cells. The Researchers look forward to designing the nanoparticles to enable targeted delivery inside the human body, and analyzing the ability for in vivo imaging by adopting near-infrared probes.